Campaigning for Brazil's wildly unpredictable presidential race officially got under way on Thursday with jailed former president Luiz Inacio Lula da Silva's name amongst the 13 candidates formally registered. 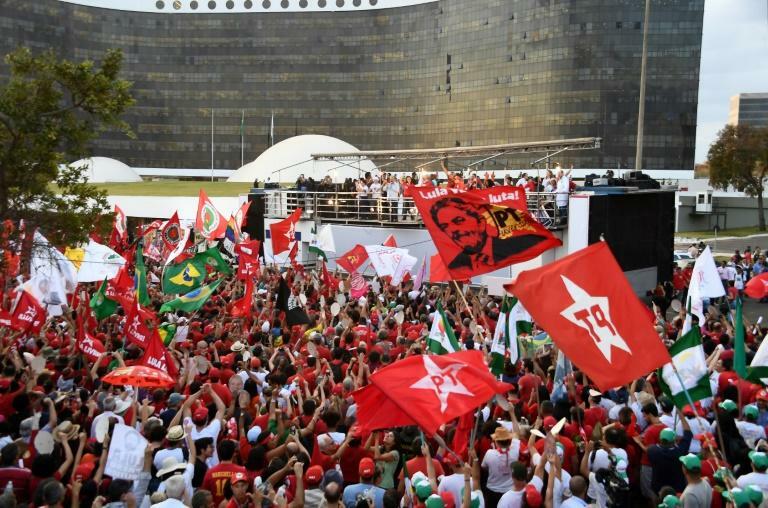 Around a hundred participants from Lula's powerful leftist Workers' Party campaigned in front of Sao Paulo's Municipal Theater while Ciro Gomes of the center-left Democratic Workers' Party took to the streets of northern Rio de Janeiro promising to "save Brazil." Environmentalist candidate Marina Silva, one of the front-runners, visited a health center in Sao Paulo while releasing an internet video calling on Brazilians to "make the change," after twice before falling short in presidential elections. Former Sao Paulo governor Geraldo Alckmin of the center-right Social Democratic Party was due to take part in a women's meeting in his stronghold later in the day. The 72-year-old is serving a 12-year sentence for accepting a seaside apartment as a bribe and under Brazil's clean slate law he is likely to be prevented from standing. The electoral court has until September 17 to rule on Lula's candidacy and should he be barred, another former Sao Paulo governor, Fernando Haddad, would likely run in his place.